Stunning dark pink dress by Lesy Luxury Flower in a longer length style and made from layers of soft tulle. 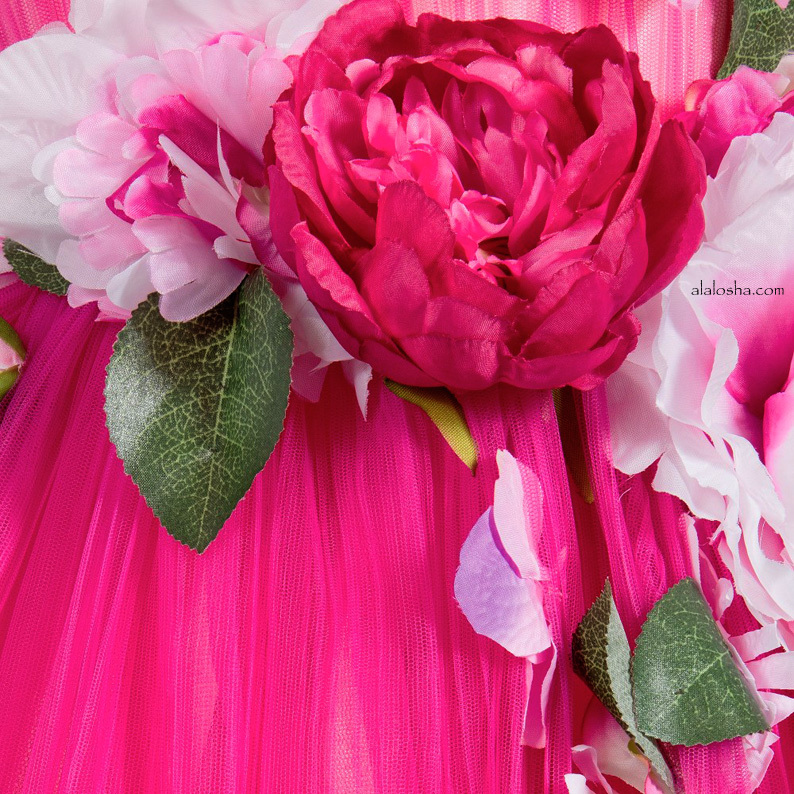 The top layer of the dress is made from a pleated tulle, giving it added movement and is decorated with pink, purple and red flowers. 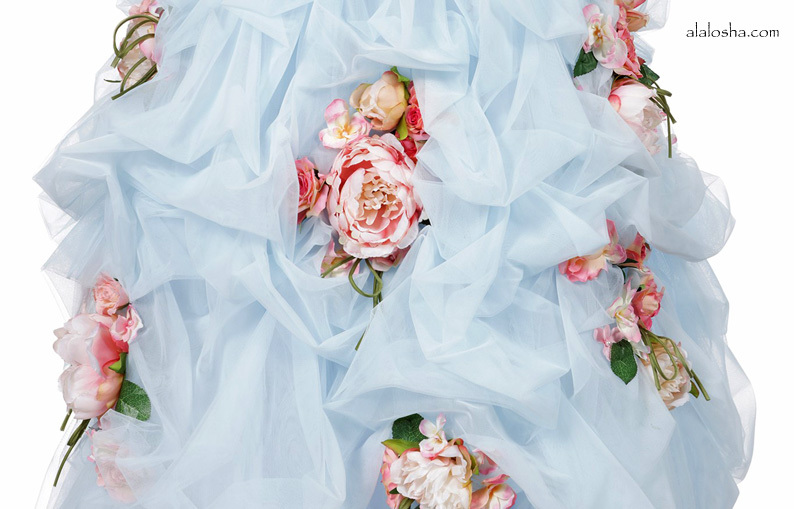 The full, flared skirt is given the most amazing shape by tiers of stiff tulle and cotton lining. With tiny capped sleeves it has a concealed zip fastening and satin ribbon bow that fastens at the back. 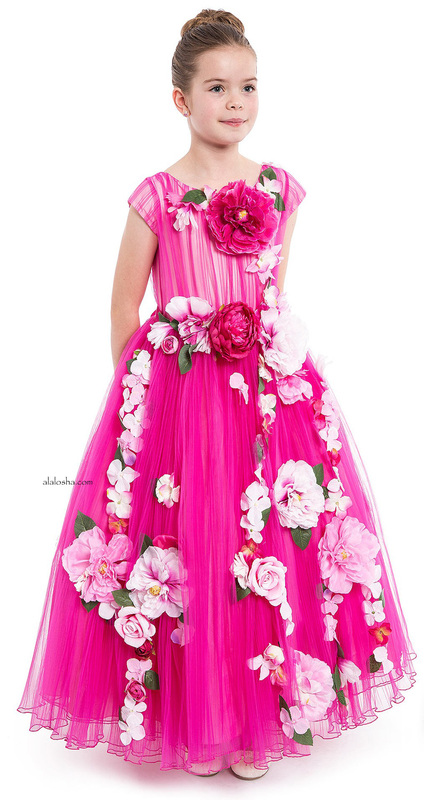 A truly stand out dress for a special occasion. 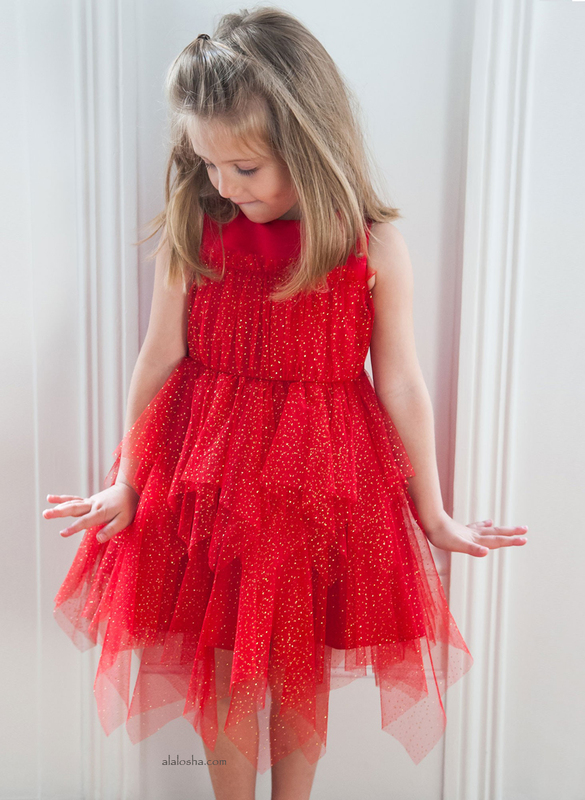 Girls dazzling capped sleeve dress by Lesy Luxury Flower, a collection made to celebrate the 50th anniversary of this brand. 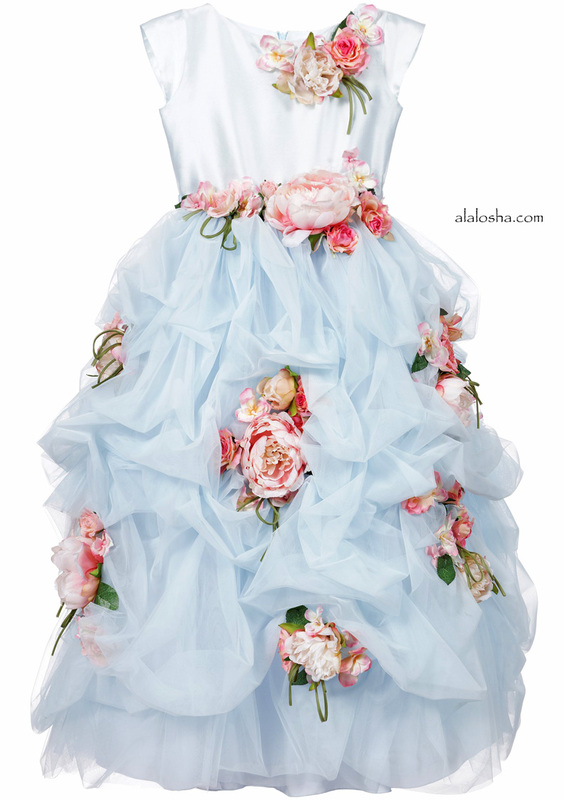 In soft sky blue, this beautiful dress has a fitted bodice and layers of scrunched up tulle with a satin lining. 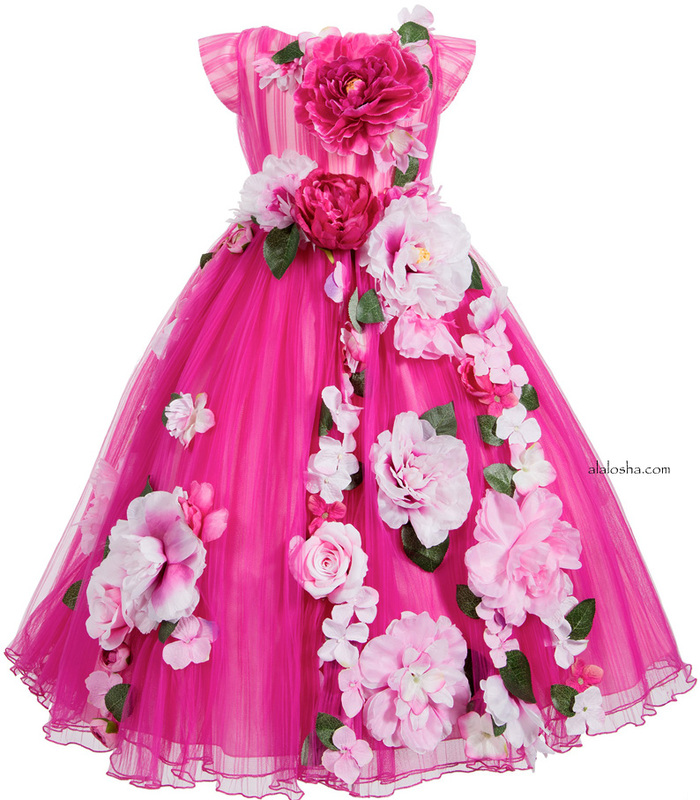 It is adorned with beautiful pink peonies flowers, to create a spectacular design and it ties with a sash at the back. The loose undergarment has an elasticated waist, layers of stiff tulle over a cotton lining adding extra volume and flare. 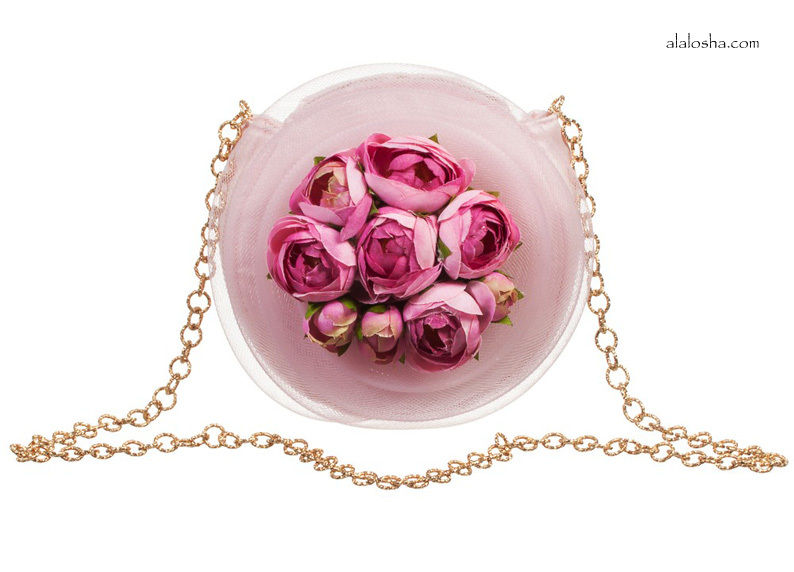 Girls pink tulle floral handbag by Lesy. 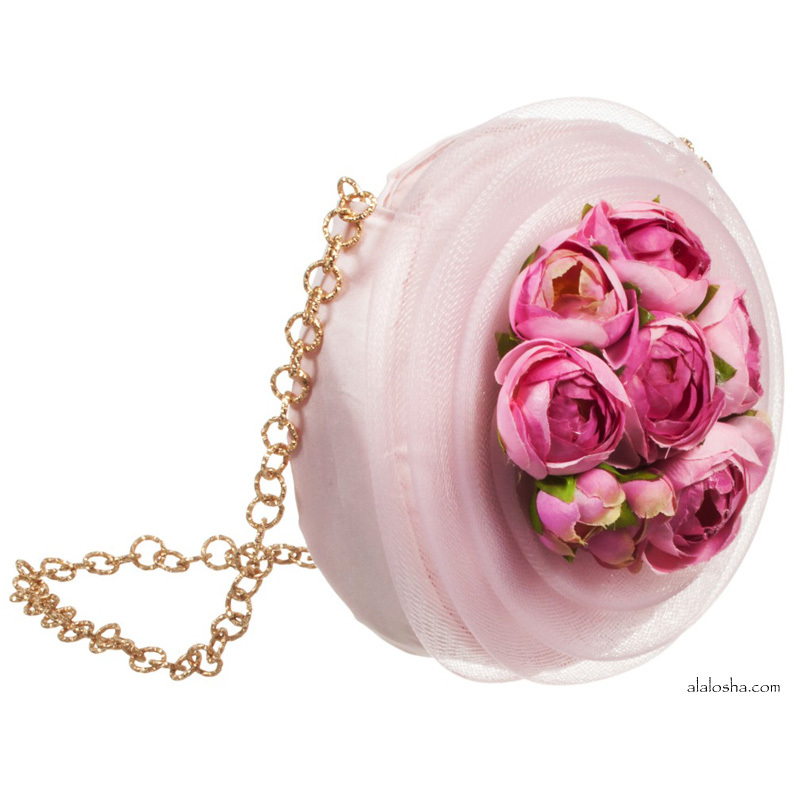 In a circular shape, the outer side is decorated with pink rose appliqués on a tulle net base. The opposite side is made in smooth cotton sateen. The bag has a magnetic closure and a gold link chain shoulder strap. To view the size in scale see our photo of the size 6yr Mannequin wearing the bag. 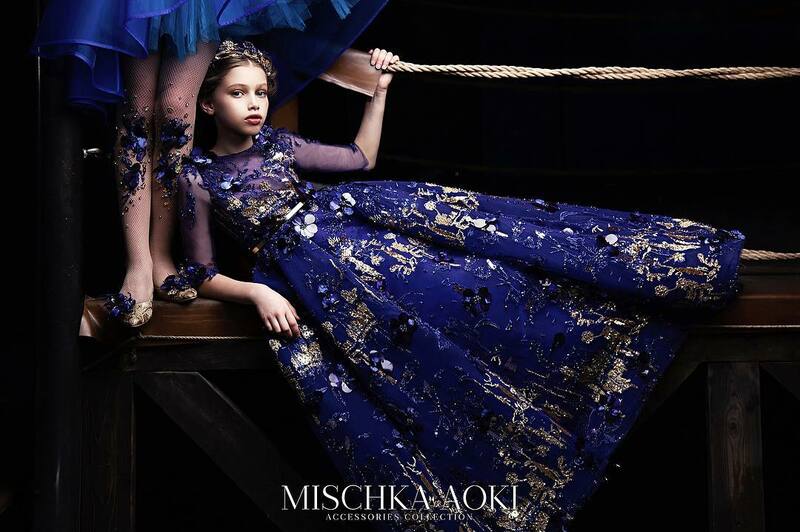 Girls stunning capped sleeve dress by Lesy Luxury Flower, a collection made to celebrate the 50th anniversary of this brand. Made from layers of white tulle with a satin lining, it has a full circle skirt, giving it a flared and full shape. 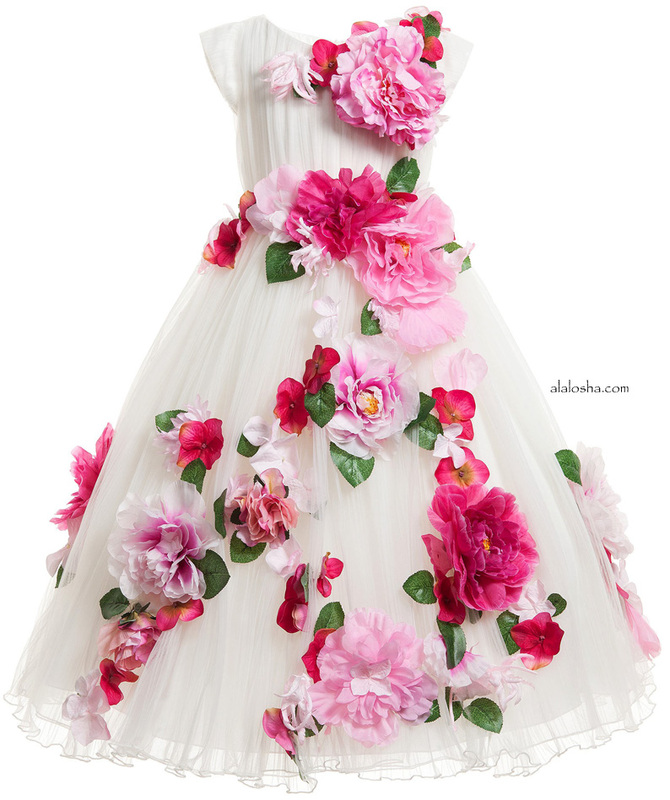 The dress is adorned with beautiful pink flowers, to create a truly spectacular design and it ties around the waist with a sash. The dress comes presented on a branded hanger and in a organza dust bag adding that special luxury look.